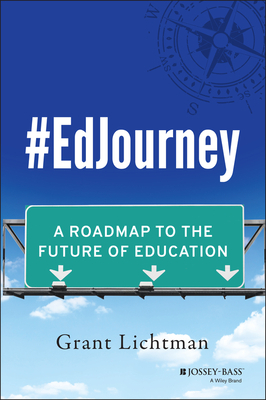 #EdJourney: A Roadmap to the Future of Education is a refreshing change from the negativity so common in the world of education today. Over the course of a 3-month solo road trip across the United States, author Grant Lichtman discovered that there is much to be positive about in today's K-12 schools. Lichtman, one of the country's leading experts in educational innovation, interviewed over 600 teachers, administrators, students, parents, and trustees to find out what kind of innovations they're doing right--and how others can leverage their successes. What new learning strategies are the top schools implementing to prepare our students for their future rather than for our past? How do teachers and administrators manage transitions to new types of teaching and learning? What are the key obstacles to shifting away from the assembly line model of education? How can we all leverage the lessons of success from the most innovative schools? The concrete examples and advice in this book will help you bring innovation and educational design concepts into your school. #EdJourney goes beyond the theoretical need for change--by now a familiar topic to almost everyone--and takes a real-world approach to achieving transformative education in any school. GRANT LICHTMAN is a senior fellow with The Martin Institute for Teaching Excellence, a consultant to the National Business Officers Association, and works with K-12 schools around the country on aspects of innovation and strategic planning. He blogs at The Learning Pond, and has written for ISTE Learning and Leading, Independent School Magazine, and other publications.